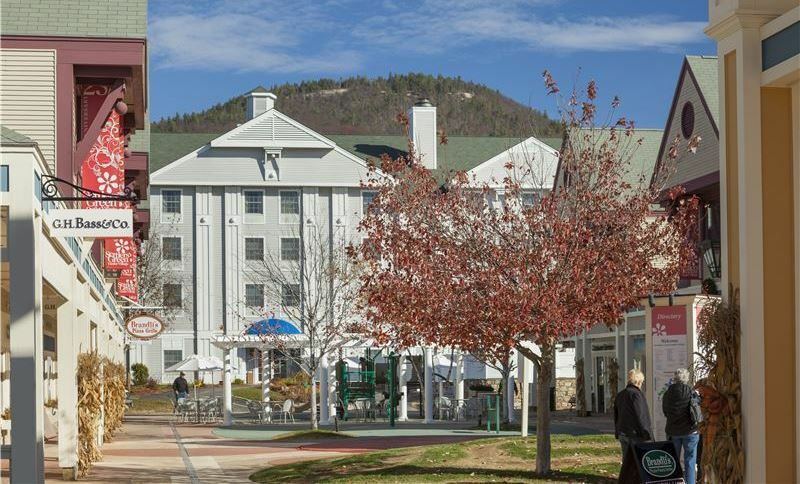 Overlooking the White Mountains and well kept hotel grounds, our mountainside restaurant and tavern serve classic American and New England fare in a warm, lodge-like ambiance. Share a table with family and friends at the Mountainside Restaurant, serving a bountiful breakfast buffet every morning. In evening, you'll savor fresh Atlantic Coast seafood, steaks and poultry dishes with beautiful mountain vistas. 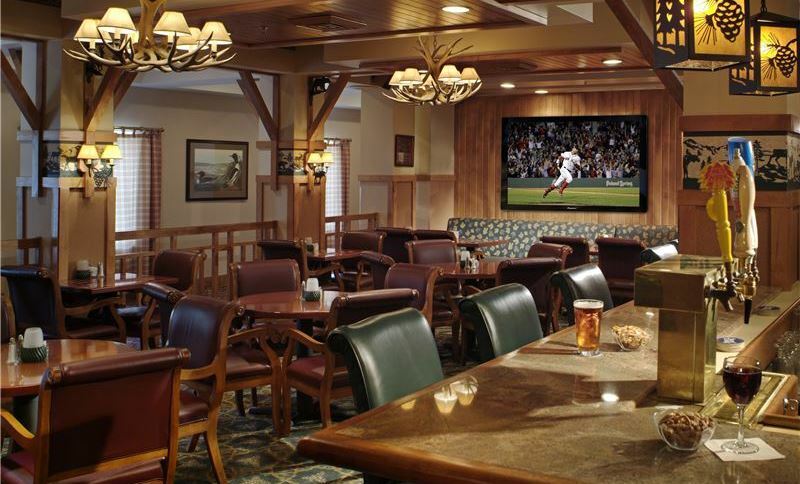 Gather in the cozy Mountainside Tavern and enjoy cocktails or a cold brew while you watch the game. Still hungry? Walk over to Settlers Green Outlet Village, lined with casual eateries and shops with local food. 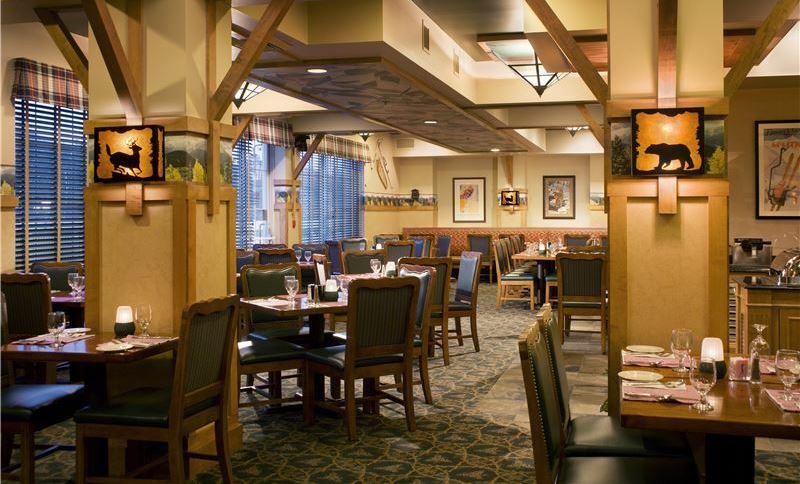 With views of the White Mountains and our scenic pond, the Mountainside Restaurant serves American cuisine in a charming lodge-style ambiance. Start your morning with a delicious breakfast buffet, served daily from 7am - 10am, Monday through Friday and 7am - 11am on Saturday and Sunday, with scrambled eggs, Eggs Benedict, bacon, sausage, make-your-own waffles, cereals, and fresh fruit and juices. Grab a table with the family for dinner and enjoy fresh seafood, steaks, chicken, freshly-made soups and salads, and decadent desserts. Relax and have a few drinks at our inviting mountain tavern with a rustic lodge feel and comfortable seating. The Mountainside Tavern serves appetizers, sandwiches, burgers, and salads along with cocktails, wine and bottled, tap, and New England craft beer. Catch the game on the 60-inch flat screen TV or hang out with friends at the bar. It's your vacation, so why not enjoy great food and fun with friends.